I recently read a post by Mike Shatzkin on his blog called The future of bookstores is key to understanding the future of publishing. Go read it. I'll be here. In the comments, I had two exchanges with Mike that are worth repeating, because I'd like to expand on them and Mike self-admittedly has no patience to wade through "someone else's lengthy dialectic" and has a policy on his blog against "longwinded rants" such as mine. I wanted to comment on some of the points you made in this post. "One distracting fact for analysts considering this question has been the apparent slowdown in the growth of ebook sales, suggesting that there are persistent print readers who just won’t make the switch." The analysts you refer to don't have access to all the data, and the data they have isn't being interpreted correctly. First of all, the shadow industry on self-publishing accounts for tens of millions of sales (if not more) that aren't being counted. Ebook growth may be slowing for legacy publishers. It isn't slowing for self-publishers. Second, the idea of "growth slowing" was nicely refuted by Barry Eisler in his conversation with agent Robert Gottlieb. 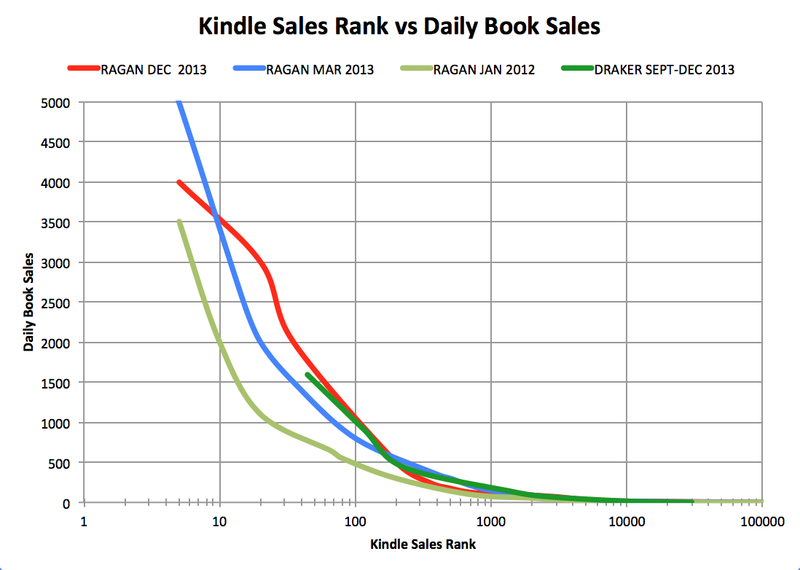 There’s more: in December 2013, Amazon revealed that a quarter of US ebook sales were by indies. The numbers for B&N’s Nook are similar. Hachette and HarperCollins both report that ebook revenues are increasing — indeed, by 40% for Hachette (of course, now we know why). Most astonishing of all is that missing from these figures demonstrating a still dramatically growing market are indie figures, because data is collected only from major publishers. That’s right: the ebook market is still growing even when measured without including indie published books. Calling this kind of continued explosive growth “slowing” is like saying a car that went from 50 miles an hour to 100 and then to 130 is “slowing” because since it hit 100 mph its speed only increased by 30 percent. Would you honestly describe a car that just accelerated from 100 to 130 mph as “slowing”? Because that’s what you just did with the ebook market. "The physical book has uses and virtues that a CD, a vinyl record, a DVD, or a videotape don’t, not the least of which is that a physical book is its own “player”. But it also provides a qualitatively different reading experience, whereas the other “physical” formats don’t change the consumption mode at all." I talked about journey value and destination value four years ago dismissing the qualitatively different reading experience of print. And while books may be their own "player", show me someone who doesn't have a device that can read ebooks. Besides ereaders like Kindles and tablets like iPads, smart phones and computers abound. A book being its own player isn't important when so many consumers already own devices that ebooks can be read with. CDs are still around because they can be ripped to mp3s and put on digital players. The CD is simply a hard copy of digital info. When was the last time you saw a CD Walkman? Books can't be digitized without scanning. So while I can buy the new Tom Waits CD and put it on my iPod (or Kindle Fire), I can't buy a hardcover and read it digitally. "But the fate of almost all trade publishers is inextricably connected to the fate of bookstores." Actually, it is inextricably connected to authors. Years ago I realized that unconscionable publishing contracts and low royalties would lead to authors leaving legacy publishers and self-publishing. This will happen more and more. We don't know how much it is already happening, because there is no data available, but B&N reported that 25% of Nook ebook sales were from indie authors, and I suspect the percentage on Amazon is larger. "It is still true that putting books in stores is necessary to get anywhere close to total penetration of a book’s potential audience." I agree. But I don't care, and neither do a lot of self-pubbed authors. Yes, it would be nice to have my print books in all bookstores and Wal-mart, but I made a million dollars in 2013 without that happening. I don't need those sales to make a nice living. You go on to say as much in the next paragraph, but you may not realize this is happening right now. Don't discount self-publishing as a Big 5 killer. For every publicized story of a self-pubbed writer taking a legacy deal, there are many who refuse deals, or don't even bother submitting to publishers. What happens when publishers run out of good submissions? Mike: I think I personally have been a) fully cognizant of the possibility that what is in view isn't totally taking indie publishing into account and b) clear about the fact that is *slowing *is the *rate of growth*, which would necessarily be the case as the market got so much bigger. Joe adds: Yet your blog post focuses on how the future of bookstores--not authors--is the key to understanding the future of publishing. In your economical 1600 word post, you focus on authors for 117 words. You present the possibility that publishers may have to offer authors higher royalty rates, shorter contract terms, and more frequent payments, then immediately say the marketplace hasn't been forced to do that yet, and if bookstores hold their own they may not need to for a long time. This, as David Gaughran says later in the comments (repeated below) is dismissive. As for the ebook rate of growth slowing, since it is still growing there are apparently are not as many "persistent print readers who just won’t make the switch" from paper to ebook as you believe. Either the whole pie is growing (paper readers are the same numbers, ebook readers are getting larger), both segments are growing, or ebooks are cannibalizing paper sales. Which, incidentally, is why those sneaky price-fixing publishers were slapped by the DOJ; they wanted to slow the growth of ebooks and protect the sales of print, where they controlled distribution. Mike: But the effect is not really as big as you make it, because such a high proportion of the indie units are at very cheap prices and such a high proportion of the Big Five units are at prices you'd probably consider extortionate (although, thanks to both self-publishing and the DoJ, the prices for the Big Five books are coming down, probably to the detriment of fledgling writers who are losing their opportunity to make noise at the low end of the market.) So if 25% of Nook sales are indie authors, I'd hunch that the percentage of dollars they represent is closer to 10%. It might be less. Joe adds: And it might be more. Neither of us know. Mike: And while I'm not in their number and obviously you aren't either, there are still a very large number of print book readers, many of whom (as you point out) MUST have a perfectly serviceable reading device in their possession, who just DON'T WANT to read digitally, they want to read print. They may actually still be a majority of the people, all these years into the digital revolution! And a big chunk of *them *really want to buy their books in a store. Stubborn luddites though they may be, they do exist in substantial numbers. And they aren't all geriatrics. Joe adds: Or those print readers MIGHT be shrinking, both as a static group and percetnage-wise in relation to the growing number of ebook readers, and some of them MIGHT eventually switch to ereaders (you know those late adopters and laggards Evert Rogers talks about) and some MIGHT switch to buying their paper online, since going to a local B&N means half the selection it had five years ago. "(although, thanks to both self-publishing and the DoJ, the prices for the Big Five books are coming down, probably to the detriment of fledgling writers who are losing their opportunity to make noise at the low end of the market." We're still making noise, Mike. Ebooks aren't zero sum. A $2.99 Hachette ebook doesn't compete with mine. Instead, if gives readers the ability to buy more of my ebooks, because Hachette is no longer charging $15.99. "So if 25% of Nook sales are indie authors, I'd hunch that the percentage of dollars they represent is closer to 10%. It might be less." Think about that. Those are authors making higher royalties than they can through legacy, and that's 10% of all ebook revenue that legacy publishers are missing out on. An author can sell one $30 hardcover from a legacy publisher and make between $3 and $4.50. If I sell $30 worth of $3.99 ebooks, I make $19.75. And it is much easier to sell a $3.99 ebook than a $30 hardcover. "there are still a very large number of print book readers, many of whom (as you point out) MUST have a perfectly serviceable reading device in their possession, who just DON'T WANT to read digitally, they want to read print." That's fine. Writers don't need those readers to make a living. And their may be a lot fewer paper readers than you believe, since the shadow industry of self-publishing isn't being counted. "I think the demise of the establishment happens a bit more slowly than some enthusiasts for the future may expect. I am sure you have the humility to reflect on that fact from time to time, even though it would probably be a bad strategy to admit it out loud (and I've never known you to do that.)" All signs are pointing to it happening faster than I expected. Amazon released a statement saying it sold more Kindles during the 2012 holiday season than any previous year. Borders is gone. Random Penguins merged. Dorchester is gone. 150 self-pubbed authors sold over 100,000 ebooks each on KDP last year (I'd love to get the data on how many sold over 10,000 copies--I suspect lots.) Rowling opened Pottermore.com. Larry Block self-pubbed his latest (at $9.99, which means he keeps $7 per ebook sold, and he's ranked respectably at #1200. I could go on. I'd love for you to address the facts brought up by me and Barry Eisler in my last three blog posts, which all came down to "Why do publishers believe authors are going to continue to submit to them when they can make 70% royalties on their own, keep their rights, and don't have to sign unconscionable contracts?" You mention that "so far the marketplace hasn't had to offer higher ebook royalty rates, more frequent payments, and shorter contract terms." But I'm guessing you suspect they will have to, at some point. Because authors aren't idiots. And we talk to each other. A lot. When I first started making money self-publishing, I was labeled an outlier. How many outliers does it take before they aren't outliers anymore, but a trend? In the past few days Brenna Aubrey turned down a six figure legacy deal to self-pub, and self-pubber Theresa Ragan admitting to making over a million dollars. I've been in touch with many other successful self-pubbers who make hundreds of thousands per year. It isn't my job to out them, but I suspect you'll hear about them sooner or later. My ebooks are invisible to the NYT list and the USA Today list, even though I could have made both several times. And mine aren't the only ones. I don't have your faith that B&N will be around in five years. Bookstores will never go away, and paper books will never go away. But the book business only needs two parties: authors and readers. Everyone else involved in the bookselling process is a facilitator. Facilitators need to justify their cut, be they publishers or bookstores. Especially since authors today don't need either. Mike: Joe, I have two pretty firm policies which we're running up against here. One is that I don't allow my comments space to be used for other people's longwinded rants. I guess you're used to having people read you at great length; I strive for an economy of words in my posts and in my responses. I don't really have the patience to wade through somebody else's lengthy dialectic and I make the self-serving assumption that my readers don't either. So I'll leave it with the answer to your prior post. That one will serve for this one too. Joe adds: Then David Gaughran joined in. You might dismiss the threat posed to large publishers from self-publishing by (rightly) pointing out that the portion of the dollar pie they have grabbed is significantly smaller than the unit sales pie. But I don't think you should dismiss it so quickly. Unit sales could be viewed as a leading indicator here. By my calculations, self-publishers (and other non-traditional actors) have grabbed about a third (in unit sales) of the US ebook market. As I said there, talking about market share in dollar amounts might be important to publishers – who are anxious to replace falling print revenue with new digital income – but it’s way less important to self-publishers (who price at the lower end of the range and don’t really care if readers are paying less for digital editions). Talking about market share in terms of unit sales is, in my opinion, a much better metric for seeing where things stand and where they are headed – but I’m happy to debate that. Joe adds: Your post wasn't about publishers facing changes as self-publishing grows (hint: reread your title). That was 1/16 of your post, and you did dismiss it. Mike: All I was doing by pointing out the dollar metric in addition to the unit metric was trying to put things into a more realistic context than anybody who waded through Konrath's screed might have absorbed. Here's a bit more. He starts with Nook saying 25% of their ebook sales are indie, to which I say their sales volume might be 10% or less (almost certainly less.) Add this. They *also *don't get any print sales! B&N's print sales still exceed their digital sales on most Big Publisher books. So now we're saying that the importance of the indies isn't not-as-much-as 10 percent of dollar volume, but is actually LESS THAN FIVE! Joe adds: Or it could be 25% of dollar volume. Or 35%. We can all keep guessing at actual percentages, numbers, figures, data, etc. I think we call all agree that David and I and a lot of self-published authors making money believe the shadow industry of self-publishing is larger than you do. I'd also like to take this opportunity temper some of my beliefs and predictions. My work, and the work of many of the writers who visit my blog, is in genre fiction. When I make pronouncements and predictions, it is about genre fiction. I dunno anything about non-fic, or childrens, or lit-fic. I have zero idea how big a chunk of the publishing industry genre fiction is. I know it makes up most of the NYT and USA Today bestseller lists, and most of the Top 100 Kindle bestseller list, but I'm only guessing that the migration of Big 5 genre authors from legacy publishing to self-publishing would indeed destroy the legacy industry. That said, I believe authors will migrate, and that it will hurt the legacy industry greatly, and while publishers need bookstores, they need authors more. A mass author exodus will be devastating to publishers. You advised publishers to increase author royalties way back in 2011. In your economical 2300 word post Paying authors more might be the best economics for publishers in the long run you stated that "if the authors don’t play along, they (publishers) have nothing to sell. Making deals with authors is the publishers’ price of admission to the game." You were right. And because publishers have elected to not pay authors more, a shadow industry has grown which is probably bigger than anyone imagines. In the comments to my previous post, Paul Draker opined. Paul: How big is Amazon self-publishing's shadow industry? I did a back-of-the-envelope calculation of what "25% indie" means. To weed out the "fire-and-forget" one-offs, I only considered the Top 50,000 Amazon ranks (or books selling more than 3 copies/day each, which is 1000 copies/year). ...which maps Amazon rank to average sales/day. So that's 100 Million self-published books sold a year by just the 12,000 indie authors who can, at a minimum, out-earn the "entry level" traditional-publisher advance. Mike: That doesn't mean there isn't a threat. That doesn't mean that the indie share isn't going to continue to grow. That doesn't mean that publishers aren't going to have cognizance of it and adjust to it, over time. But it does mean -- to me -- that any suggestion that indies are on the verge of taking over the world is either delusionary or self-serving crap. Actually, no one is suggesting indies will take over the world. We're suggesting that more and more writers will leave legacy publishing, and that is it happening faster than you and publishers think. Mike: All that said, I agree that the unit numbers are worth taking seriously, not ignoring. But, you know what? So are the dollar numbers! Joe: No, Mike, they're not nearly as important to self-pubbed authors, who are getting poor royalties off those numbers. Would you rather get large royalties from a smaller figure or small royalties form a larger figure? It depends on the figures, of course. But I'd rather have 70% of $10,000 than 6% of $100,000. But that's apples to oranges. Apples to apples is a backlist legacy book that sells a handful of paper copies per year, but is kept "in print" by a publisher because it continues to sell 1000 copies a year in ebook so the author cannot get their rights back. A $3.99 self-pubbed ebook that sells 1000 copies per year earns an author $2790. A $5.99 DLP (digital list price) legacy pubbed ebook that sells 1000 copies per year earns an author $748 per year. A $3.99 DLP legacy pubbed ebooks selling 1000 per year earns an author $498. For a legacy published author to make the same $2790 per year that a self-pubber makes selling 1000 copies at $3.99, she would have to sell 5600 copies at $3.99. Let me repeat that point. On ebooks with the same price point, a legacy published authors has to sell 5.6x as many copies as a self-pubbed author. William: The factor that folks seem to be overlooking is that the need for shelf space is determined by the number of titles which benefit from offline distribution more than it is by the number of books sold offline. I have been spending some quality time with the raw data from Pew Research when they asked people how many books they've read in the past year. Pew releases their raw data about six months after the survey, so the latest data I've looked at is Nov 2012. Their 2013 summer survey was in August, so we should get that data next month. In any event, the data is telling. Just like the bestseller list accounts for a substantial portion of immersive books' sales, a relatively small part of the adult population is responsible for a large portion of the total books read. People who read 20 or more books a year make up 15% of the population and read 65% or more of all the books that get read. The folks who read 50 or more books a year probably read 40% of all the books. Online stores are the only ones that have the breadth of selection to satisfy folks who read a book a week. Think about where the power curve of mass sales intersects with the power curve of number of books read. Bestsellers are made by the buying habits of people who read 6 books or less per year. 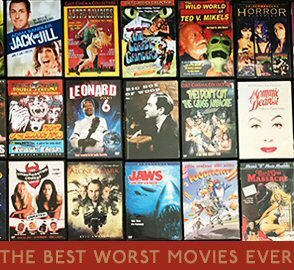 We are fast approaching the point where the number of titles that really need mass offline distribution is less than a hundred. There will a lot of specialty bookstores (for non-immersive reading), but the megastore (and thus B&N) is doomed. The current system has a large amount of inertial momentum, but the end is clearly visible. The consequences of this are pretty clear. Big publishers should be cutting midlist authors as fast as possible (which seems to be happening). By trimming the number of books they publish, they can cut costs and kill the return system. Publishers need to concentrate on the books that are evergreen (don't get stale) or books that have broad appeal (Patterson, King, Grisham, et. al.). Bookstores that survive will create a niche that Amazon can't replicate, e.g. by hand-selling like a jewelry store. More books will get sold in other types of retail (gardening books at the garden store, etc.). If William is correct with his numbers, how is legacy publishing a sustainable business model? I have big doubts that booksellers will ever stop using the return system (Bob Miller tried doing this years ago). If you add shrinking shelf space in bookstores to the startling concept that less than 100 titles yearly require mass offline distribution, and then stir in unhappy authors seeking higher royalty rates by going solo, what conclusions can be drawn? I'll add that Borders closing was not a "Black Swan" event as you stated in your original post. It was foreseeable and understandable. At one point they operated 686 bookstores. When they disappeared in 2011, wouldn't it make sense that in the absence of one of their biggest rivals, B&N would have absorbed their customers? And yet, less than two and a half years later, B&N is closing stores. When B&N disappears, will that be a black swan too? Authors who self-publish hurt potential bookstore sales the same way they hurt potential publisher sales. There could be hundreds of millions of dollars annually that publishers and bookstores could have made, but don't. Or maybe it's only tens of million of dollars. Or two million. Or ten bucks. The actual number isn't the point. The point is, do you see the trend reversing? Are people abandoning ebooks? Are print run averages getting bigger? Are publishers putting out more print titles than ever before, and if so, how are those titles doing? Are bookstores booming (with special attention to bookstores where the percentage of the profits are from new books, not used books or toys and games, etc.)? Are more and more authors seeking out legacy deals? Are more and more self-pubbed authors getting pushed off the Amazon Top 100 lists by legacy ebooks? Mike, I understand you probably didn't have the patience to read through this lengthy dialectic, and that you strive for an economy of words in your responses, but you're welcome to reply to this blog post with as many words as you like.